A small and yet powerful smartphone from the house of Sony, Xperia Go runs on Android 2.3 and has been powered by a 1305 mAh removable battery. Standing at 3.50 inches, it fits your palm perfectly well and can be carried around without a problem. It has been powered by a 1GHz Dual-core processor, NovaThor U8500 and boasts of 512MB RAM. The touchscreen display is quite receptive with a resolution of 320x480 pixels. It comes with an internal storage of 8GB, which can easily be expanded using a MicroSD card. The memory can be expanded up to 32GB. Storing music, images, and other files will not be a problem at all. The camera, considering this one’s an old model, is quite good. It has a 5MP camera that can be used to get some cool clicks. It comes with different connectivity options such as Bluetooth, WiFi, FM, GPS, and 3G. This one’s a single SIM model. 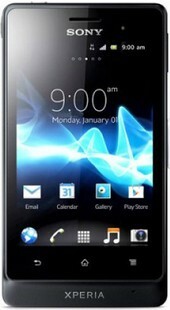 The Sony Xperia Go price is currently marked at 8000. Sony Xperia Go full specs and reviews as of Apr 2019. Buy it here!